Chinese poker is becoming more popular online recently. However, most poker rooms, as yet don’t offer it. Don’t let that put you off though as Chinese Poker is a great game to play and has thousands of dedicated players online. Read below for the full Chinese Poker rules. Each player is initially dealt 13 cards. The object is to arrange them into 2 hands of 5 cards and one of 3 cards, beating the hands made by the other players. 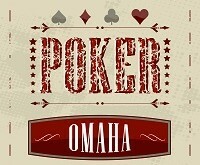 Click on each card to select it from your total of 13, and to make it part of your front, middle, or back hand. Players of casino Pai Gow Poker will find Chinese Poker slightly easier to master. You’re dealt the following cards: You could arrange them like this:Front hand Middle hand Back hand. The back hand, a straight flush, beats the middle hand, 4-of-a-Kind, which beats the front hand, 3-of-a-Kind. The game stakes are quoted in dollars per unit. Once the hands are played, each player compares his 3 hands against those of each of the other players. So in a 4-player game, each player makes 3 separate comparisons, one against each other player. 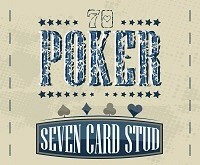 You win 1 unit for each corresponding hand of another player that you beat and lose 1 for each hand that beats you. When the hands match, you neither win nor lose. Here’s an example. A vs. B; A wins every hand; A wins 3 units from B. A vs. C; A wins the back, C the middle and front; C wins 1unit from A. A vs. D; D wins the back, A the middle and front; A wins 1 unit from D.
B vs. C; C wins every hand; C wins 3 units from B. B vs. D; D wins the back and front, B the middle; D wins 1 unit from B. C vs. D; D wins the back, C the middle and front; C wins 1 unit from D.
So tallying everything, A gains 3, B loses 7, C gains 5 and D loses 1. When you select a Chinese Poker table from the Lobby, check the Type column for whether the table you’re about to join uses Western or Eastern rules. In Western Chinese Poker rules, a player who wins the majority of segments earns an additional point. 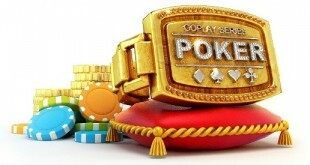 Eastern Chinese Poker rules awards bonuses for certain hands. Clean sweep hands in the Chinese poker rules have a ranking that wins automatically. They are listed in descending order. 3 Flushes Suited cards in front, middle, and back 3. If you have a Clean Sweep, click Submit Natural. If multiple players have Clean Sweep hands, the higher ranking hand wins the total unit value for that hand; the value for the lower ranking Clean Sweep hand won’t be subtracted. If 2 Clean Sweep hands have the same ranking, they tie. No money is exchanged between these 2 players, but they collect from the others. If you don’t declare a Clean Sweep, it plays as a regular hand. 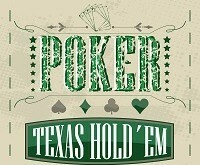 A player may surrender his/her hand before the showdown. His/Her hand won’t be compared with other players’ hands, but the player must pay each opponent 3 units. Chinese Poker Rules incorporate a dealer button or puck to initiate payment at the end of each game. The player to the immediate right of the button is the first to compare his/her hand with the others’ , and so on around the table. Any player low on cash is thus prevented from gaining or losing more than what he had available at the start of the game.